When we talk about renewable energy, the focus is often on the project–the solar panel or the wind turbine that allow us to harness local, Vermont-grown energy to power homes and business around the state. But if we dig deeper we find that renewable energy projects are about more than the panel or the turbine. Below the surface there is much more–an entire supply chain that supports 16,000 Vermont jobs, efforts to preserve Vermont’s heritage and culture, and hundreds of thousands of Vermonters who are saving money on their energy bills. That type of economic activity is replicated at Vermont companies statewide and is why over 16,200 Vermonters–or one in every 20 working Vermonters– are employed by the clean energy economy. Renewable energy is also helping to preserve what makes Vermont what it is, giving landowners and farmers the ability to bring in some additional income from their land without having to subdivide it and sell it off for commercial development. The Whitcomb Farm in Essex is a good example. I was proud to join the Whitcomb family at a grand opening for the solar project they are hosting at their farm, which has been in continuous operation since 1867. They have leased 15 acres of their 400 acres to host one of the largest solar farms in Vermont, with twelve thousand panels. The benefit for the Whitcombs, a seventh-generation dairy farming family, is to diversify their income and help keep their land productive for future generations. Or look at the Audets’ Blue Spruce Farm. Their third-generation dairy farm in Bridport was purchased by the Audet family in 1958 and has well over 1,000 cows. The Audet family has pioneered the use of renewable energy on their farm, being the first farm in Vermont to host a cow power biodigester that puts renewable electricity onto the grid. Their digester also provides heat for farm operations. Then there are the literally thousands of Vermonters who are collecting another source of income through Vermont’s net-metering program, which allows Vermonters to set up small scale renewable energy projects at their homes or businesses and get paid for the power they produce. As one example of the over 5,000 net-metering projects generating electricity in Vermont, Crossett Brook Middle School in Waterbury partnered with Suncommon and Green Lantern Capital, both based in Waterbury, on a solar project through which they are meeting nearly half the school’s energy needs and saving an estimated $12,000 annually. At a time when upward cost pressures have made the job of putting together sustainable school budgets a growing challenge for Vermont’s school boards, net metering has provided a great opportunity for schools to reap financial savings, often while providing a great educational opportunity for students. Every Vermonter, whether they participate in net metering or not, is benefitting from renewable energy. By locking in long-term, stably-priced contracts for energy including from hydro, biomass, wind, and solar projects, our utilities have helped Vermont be the only state in New England whose electric rates for residential, commercial, and industrial customers have all decreased in the last few years. Just this year, Vermont’s electric rates fell from 14.79 to 14.34 cents per kilowatt hour. In Connecticut they rose from 16.73 to 16.99 cents per kilowatt hour. All that is to say that renewable energy is much more than what you see when you see a solar installation or a wind turbine. 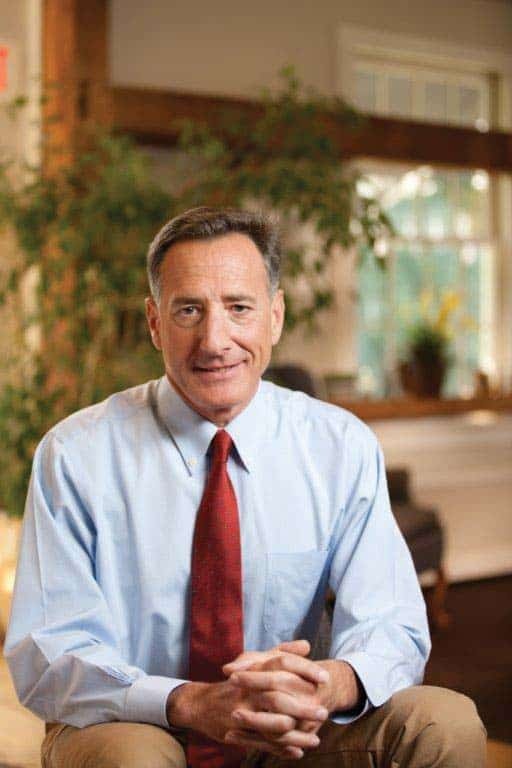 So as we have the important discussions about how to move forward with renewable energy in Vermont, we need to remember that renewable energy is about much more–it’s about jobs, about economic opportunity, about preserving what makes Vermont special, about saving Vermonters money, and about doing what is right to ensure a livable planet for future generations.